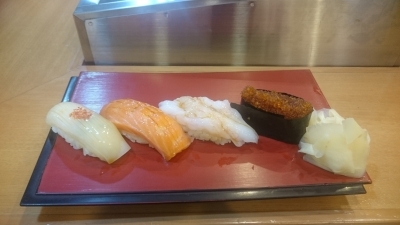 Now I'm not a huge sushi eater, but I had to try the sushi in Otaru at least once. After asking Masa for some recommendations. 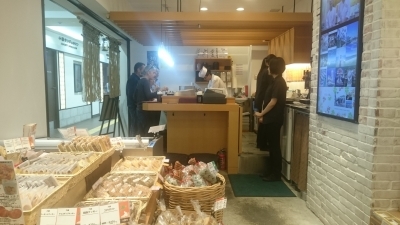 I decided on a standing sushi bar in Otaru Station. Yup, you can find some of the best quality sushi in this town's train station. Mainly since the station itself is situated near a fish market. I've never tasted anything like it ever before. I just tried four pieces, squid, salmon, shrimp, and tobikko, and I have to say I'm gonna dream about this sushi. Every bite was fresh and sweet, quality in every bit. The four pieces above was 580 yen including tax, but by all means, go crazy. You won't be disappointed. 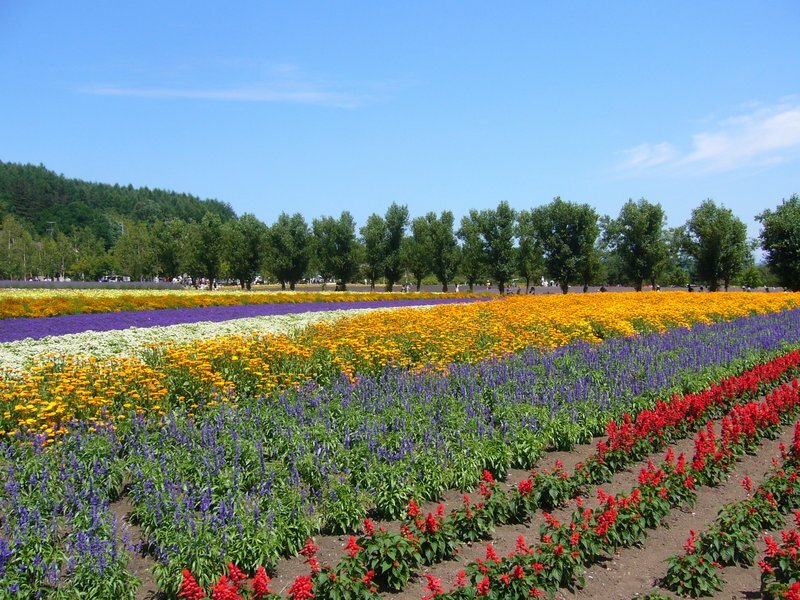 Today, I got the chance to visit Farm Tomita near Furano. It was a long ride to get there, but it was a great opportunity to see the countryside in Hokkaido on the train. Unfortunately, I just missed out on lavender season (July), what Farm Tomita is known for, but there were still plenty of flowers to see. The farm also grows melon, so you can try melon or lavender flavored ice cream made with ingredients from local ingredients and you can really taste the quality. I would go here again, if I had more to travel there as the train ride is quite long, but you could definitely make Furano and Biei a joint trip since they're so close together. One of the most satisfying things about saving money while traveling is getting to eat the fruits of your labor from the hostel kitchen. For me, it's easiest to buy some storemade food and cook the other half (usually the fresh ingredients). 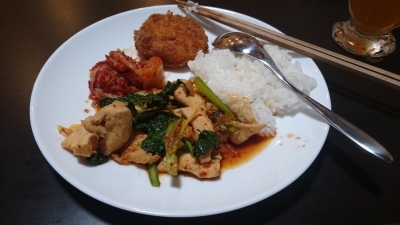 Here I had rice, chicken breast and green veggie stir fry, kimchi and a croquette. I even had leftovers to eat on the train the next day. Money well spent! I'd been to onsen before in Taiwan, but I don't think they have the same feeling as the ones in Japan. There's more of an emphasis on feeling peaceful with nature while relaxing in the water. 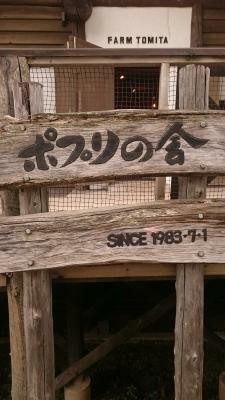 When I head there was a hot spring area with a outdoor bath near Morinoki, I hopped on the next train. 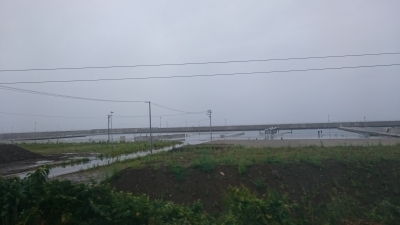 The Asarigawa Hot Springs area is about 10km from Morinoki. 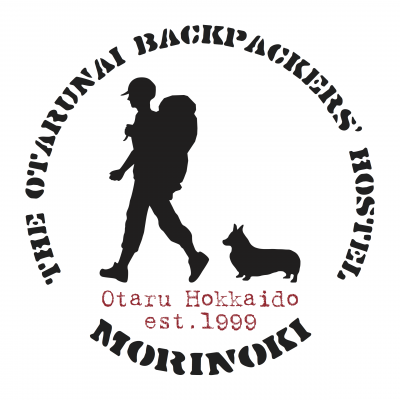 You can catch the train to Otaruchikko Station and transfer to the Chuo Bus line directly to the hot springs. I went to the onsen at Asari Classe Hotel and it was 800 yen for a day ticket. 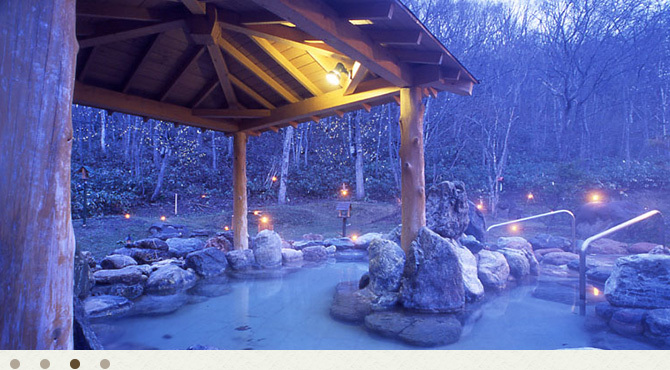 The onsen is gender separated with as with all Japanese-style hot springs. I only wish I could've seen it in the snow. Today I spent the afternoon in Sapporo and I have to say it's very different from the cities I've visited in Japan. It's very spacious with wide roads, trees everywhere and a good breeze rolling through it all. I didn't make very many plans on what to see in this city, but most of the main sights are withing walking distance of the train station. However, I did make a point of going to "Ramen Alley." No regrets at all! If you're planning just a quick afternoon in Sapporo, you can visit the Clock Tower, Odori Park, Sapporo Tower and then Ramen Alley for lunch or dinner. Sapporo Tower also has a beer garden as its base, so circling back for a drink after ramen is also an easy option. Hokkaido is known for its Miso Ramen, but there's also butter corn ramen and a black oil ramen that looks interesting enough to try. Here, I got Spicy Miso Ramen and it's the richest flavored ramen I've ever had, and they did not skimp on the char shiu. 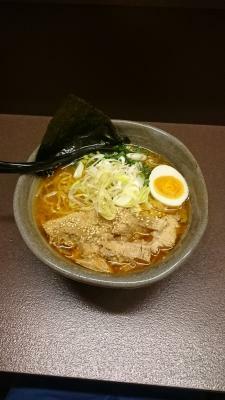 Most of the little ramen joints have English or picture menus, so it's foreigner friendly to the best of its ability. I'd recommend going at the peak of a mealtime, looking for the smallest and busiest ramen-ya and waiting for a seat there. 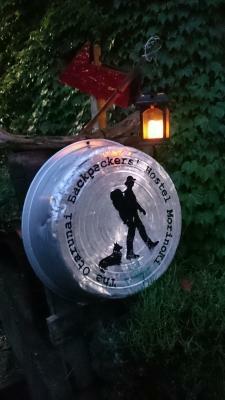 A must go area for visitors to Sapporo. Finally, I'm in Otaru! 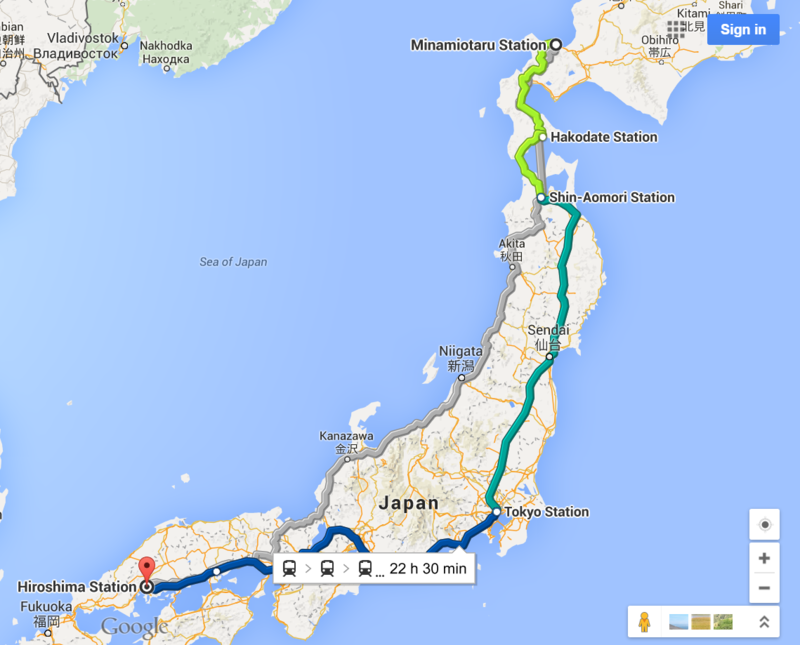 I thought getting here from Hiroshima would be no problem with how fast the shinkansen are. But it took two days with about twenty hours total on the train not including the delays and missed transfers. Time goes by quickly, but it was boring and dreary with how bad the weather was. I was so relieved when I saw this sign after the train ride from Aomori to Minamiotaru. 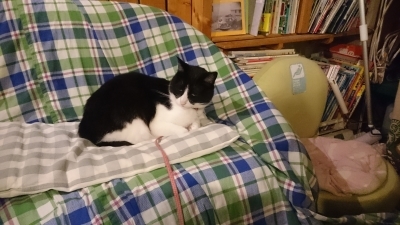 MorinoKi is quite a bit bigger than I expected in a very homey Japanese-style home. Another great thing is, there are books everywhere, which just adds to the ambiance. I can't read most of them, but the comics are always fun to look through. 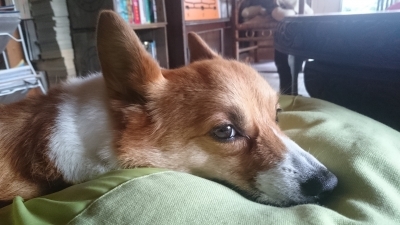 There are also two resident pets, Queen Momo the Cat and Hug the Corgi. Today the sun is coming out so I'll take advantage of it and explore a little more of Otaru!